1. The first step is to "harden the target" or make your home more difficult to enter. Remember, the burglar will simply bypass your home if it requires too much effort or requires more skill and tools than he possesses. Most burglars enter via the front, back, or garage doors. Experienced burglars know that the garage door is usually the weakest point of entry followed by the back door. The garage and back doors also provide the most cover. Burglars know to look inside your car for keys and other valuables so keep it locked, even when parked inside your garage. 2. 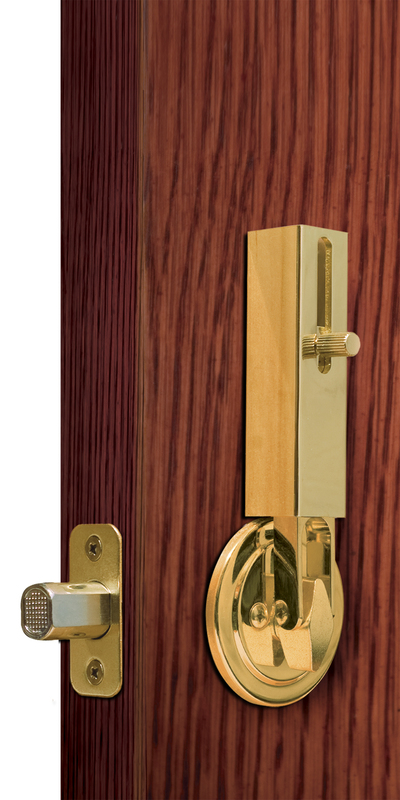 Use high quality Grade-1 or Grade-2 locks on exterior doors to resist twisting, prying, and lock-picking attempts. A quality deadbolt lock will have a beveled casing to inhibit the use of channel-lock pliers used to shear off lock cylinder pins. A quality door knob-in-lock set will have a 'dead latch' mechanism to prevent slipping the lock with a shim or credit card. Tip! - As well as locking something, you must also protect the lock and its components. Reason: Many home door locks can be quickly bypassed with a knife or screwdriver slid in the gap between door and frame. After that the criminal can easily work the tongue of most locks out of the door frame. Have you ever read or heard of a home invasion or burglary that indicated "no signs of forced entry" and thought 'how did that happen?' Well there are lots of ways this can happen. However, did you know that only 6.5% are considered as "attempted forcible entries"? This means that only 6.5% of the time did the bad guy try to gain entry and NOT succeed. It also means that that the balance, or 93.5%, of entries are successful and either categorized as an (achieved) "forcible entry" or "unlawful entry". Unlawful entry typically results in 'no signs of forced entry' or NSOFE! To understand how to combat this we first have to understand trends, tendencies and have some basic understandings. A rule of thumb is realizing the 80/20 rule applies in many things, including home safety. In layman's terms this means focusing on the 'small things' will solve 'big problems'. At Lock Jaw Security, we focused on the 93.5% of 'forcible - and - unlawful entries'. The facts are that 1 out of 3 entries are made via the front door (compared to 9% via the garage door). Almost 1 out of 4 entries are made via the back door. Less than 2% entered anywhere on the second floor of a dwelling. Common sense statistics, therefore, tell us to "secure your door"! Hiding a key (bad idea!) - Unauthorized use of the actual key. Simply using a different key??? 2. Use high quality Grade-1 or Grade-2 locks on exterior doors to resist twisting, prying, and lock-picking attempts. A quality deadbolt lock will have a bevelled casing to inhibit the use of channel-lock pliers used to shear off lock cylinder pins. A quality door knob-in-lock set will have a 'dead latch' mechanism to prevent slipping the lock with a shim or credit card.